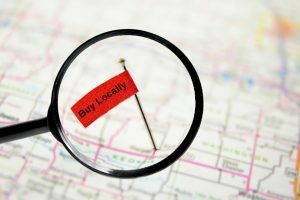 Local business directories are the most exciting thing to happen to small and local business owners in a long time, but not all small shop and restaurant owners are seeing the incredible benefits offered by the local directories because they haven’t yet set up their free local business listing. If you’re one of the holdouts and don’t yet have your local shop or restaurant listed on a local business directory, here are some great reasons to take ten minutes now and create yours. When someone wants to find a local business, they reach for their smartphones, tablets, or laptops and log onto a local business directory. They don’t drive around looking for a business or place to eat, and they definitely don’t look in the Yellow Pages or community newspaper. That means if your business isn’t listed in a local directory, all those shoppers have no way of finding your business. Another great reason to create your own local listing is that it gives your customers a place to leave online reviews for your business. Most current studies show that consumers expect to read a few positive online reviews before they decide whether or not to visit a local business. And unless you have a place to send your customers to leave those reviews, new customers won’t have a place to read them. And getting those reviews isn’t as difficult as it sounds. Another study shows that more than 70 percent of people say that if a business asks them to leave an online review, they will do it. Finally, today’s consumers expect more from local business owners than simply providing them with a great place to shop, receive service, or eat a good meal. They want to feel as if they are a part of the business, and successful shop owners do that by opening the lines of communication. One of the most innovative and successful ways of doing that is by exchanging live comments on local business directories like FindUsLocal.com. This unique feature allows both business owners and consumers to leave live comments about a local business listing, which is then displayed on the home page of every visitor from that area. For example, if you own a bookstore in Los Angeles, California, you can leave a live comment about an author book signing you have scheduled, and consumers can leave live comments about their experience in meeting the author at the event. Local business directories are a huge boon for local business owners, but in order to reap the benefits, you have to create your free local business listing. Luckily, it’s easy to do. Just log onto FindUsLocal.com, look for your business in the custom search bar, and then claim it as the business owner. Next, you’ll be asked to fill in a few details, and before you know it, your local listing will be live and available for new customers to find. This entry was posted in Local Marketing and Advertising, Online Advertising on September 26, 2018 by wpadmin.